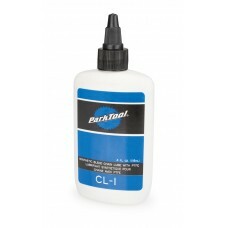 A new chain lube from Park Tool, the leader in bicycle maintenance products. 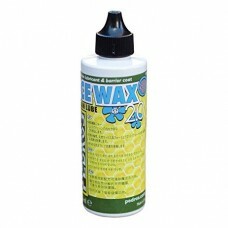 Using PTFE and a propri..
Pedros ChainJ Chain Lube 120ml (4 fl. 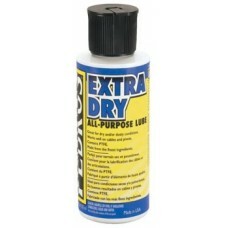 Oz)Light Wet LubeDissolves and isolates dirt for lasting perfo..
Pedro's Extra Dry Lube 2ozPedro's Extra Dry all-purpose lubricant combines the features of a dry lub..
Pedros Ice Wax Chain Lube 2.0 (4oz)Natural Wax Dry LubeBlocks dirt to keep drivetrain clean and effi..
Pedros Syn Lube 120mlPerformance Wet LubeThe original synthetic chain lube formulated specifically f..
WD-40 Bike Chain Dry Lube 4fl oz"RIDE SMOOTH WHEN THE DUST FLIES. "WD-40, BIKE Dry Lube polymers form..
WD-40 Bike Chain Lube (Wet) 4fl oz"KEEP ROLLING UNDER EXTREME CONDITIONS. 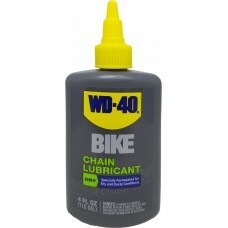 "The exclusive WD-40 BIKE W..